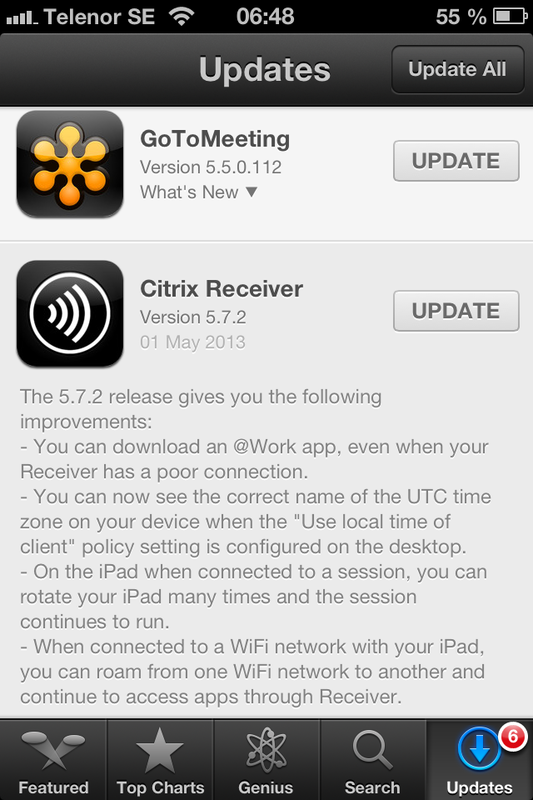 #Citrix #Receiver 5.7.2 for iOS released | The IT Melting Pot! Yet another Receiver have been released! – You can download an @Work app, even when your Receiver has a poor connection. – You can now see the correct name of the UTC time zone on your device when the “Use local time of client” policy setting is configured on the desktop. – On the iPad when connected to a session, you can rotate your iPad many times and the session continues to run. – When connected to a WiFi network with your iPad, you can roam from one WiFi network to another and continue to access apps through Receiver.